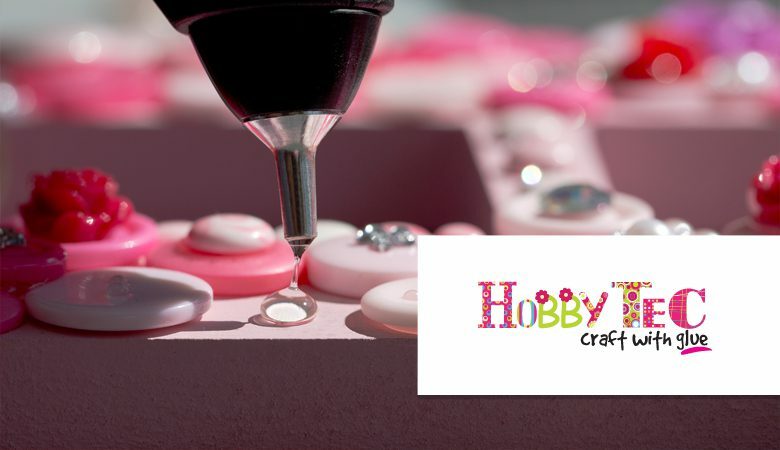 Colourful adhesive products perfect for the hobby enthusiast or crafty creator. The quality of finished arts, crafts, and floral displays will, of course, be subject to the many different tools and techniques available. Power Adhesives have therefore designed and engineered professional equipment specifically for the hobby, craft and floristry markets at affordable prices for everyone. Designed to offer an instant bond on a variety of materials including fabric, wood, paper, card, plastics and ceramics, the tec 305 and tec 805 tools are ideal for a wide range of hobbycraft applications. There are many advantages for using the tec 305 and tec 805 with tecbond adhesives over other popular fixing systems, they’re clean to use, non-toxic, have no shelf life, leave no messy residue, have a more attractive look and they don’t obscure graphics. Tecbond adhesives come in different formulations, with variants in setting time, heat resistance and viscosity, making them suitable for almost any application. Also available is a range of plain colour and glitter colour glue sticks, opening a whole new dimension for hotmelt bonding. All glues are available in 8 stick test packs and 5 kilo cartons. Not only can you BOND, SEAL, ASSEMBLE, INSULATE, REINFORCE, ENCAPSULATE, REPAIR and FILL, but you can DECORATE and CREATE many items and models for all occasions.